Kazutaka Miyatake is a man of few words, but his pen speaks volumes. As the primary mecha designer of Series 1 and Farewell to Yamato, his work has dazzled us and set an industry standard for over 40 years. 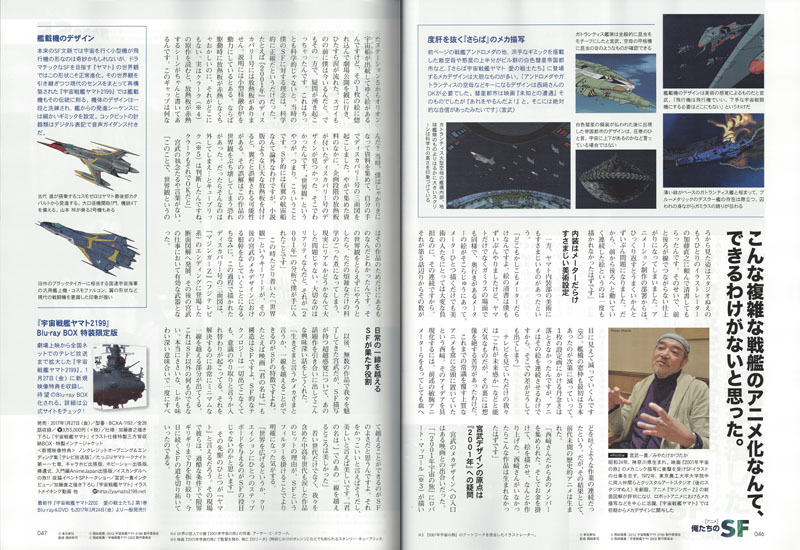 In all that time, interviews have been very rare; here’s one from Showa 40 Man magazine (Crete Publishing, January 2017) in which he reveals much, including the design genesis of the Comet Empire itself. 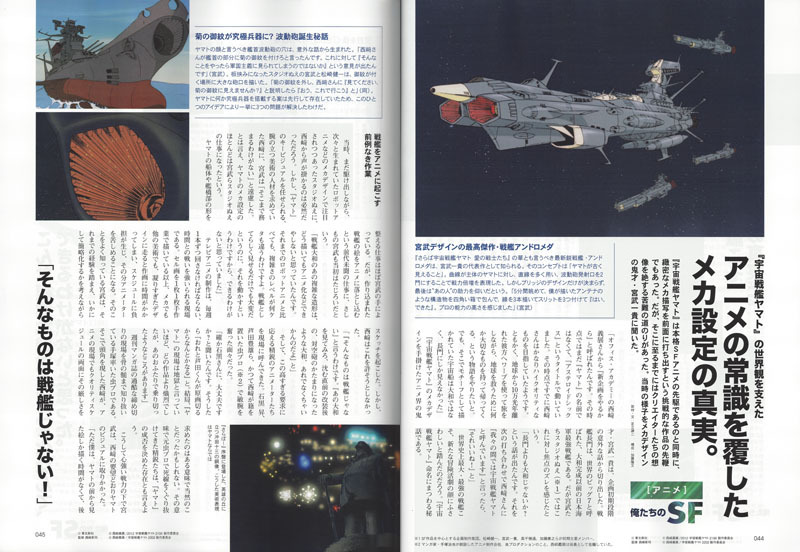 As a pioneer of full-scale SF anime, Space Battleship Yamato was also a pioneering work in the challenge of depicting precise mecha. However, there was a road of hardship that the creators could not imagine. We spoke with Kazutaka Miyatake, a master of mecha design, about that time. 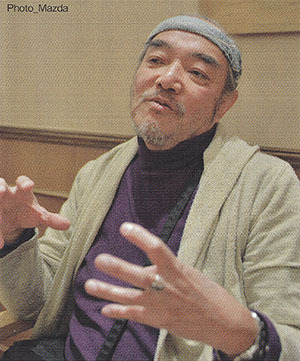 Kazutaka Miyatake, the genius of the anime world who worked on the mecha design for Yamato unexpectedly started talking about an early stage of the planning. Battleship Nagato was the Japanese navy’s strongest battleship before Yamato was completed, called one of the “Big Seven” warships of the world. However, Miyatake and others at Studio Nue felt the focus should be shifted. This was a secret story about the naming of Space Battleship Yamato. The biggest and strongest battleship in world history may have become suitable as the face of a new action-adventure drama. At that time, the fledgling Studio Nue was getting attention for mecha design on one robot anime after another, and it was probably inevitable that they would hear from Nishizaki. However, he was seeking a talented staff to entrust with the key visual of Yamato, and Miyatake refrained, saying “There’s no way I can fit in there.” However, most of Yamato’s mecha concepts are said to be the work of Miyatake and others at Studio Nue. The work of arranging the shape of Yamato’s hull and bridge portion was handled by Mr. Miyatake. But it is said that even he shrank at first from the unprecedented work of dropping the image of a battleship into anime. The production of TV anime must be turned over every week, and it is a work site where you are forced into a war against time. Cels of mecha or other art could only be drawn by hand, one by one, and it would take more time if you ran into an elaborate design, which placed a burden on the schedule and made it difficult for animators. Miyatake knew this well based on his past experience, and thought about how to simplify it in his sketches. However, Nishizaki was not going to permit this. Elite animators were called to the scene to respond to this high demand; Noboru Ishiguro, Toyoo Ashida, and others who had shown their capability at Mushi Pro, to which Nishizaki once belonged. It was Osamu Tezuka who led Mushi Pro, a man who knew the severity of weekly manga deadlines down to his marrow. Nishizaki had distinguished himself there, so it may have been natural in a way for him to place high demands on both the quality and the schedule of an anime. It could be said that the the success or failure of Yamato rode on the elite who had passed through the gauntlet of Mushi Pro. Under this reassuring strength, Miyatake began to visualize Yamato as Nishizaki requested. On the other hand, it is said that the interiors of Yamato were terrifying. Those of us who watched it on TV simply thought, “Is this the sense of the future?” but behind this there was hardship beyond imagining. Nishizaki always had in mind high-quality anime that would overturn past sensibilities. To realize this idea, it was said that even the aforementioned animators (and others) had to spit blood. However, as a result, an unprecedented historical anime was born. Miyatake’s entrance into mecha design was an encounter with a certain movie. There’s no word for Miyatake’s tenacity. The keyword of “worldview” that he arrived at then formed the basis of Miyatake’s mecha design afterward. Incidentally, the three-sided orthographic view of Discovery he drew in this process developed into the sectional illustrations that appeared in the end title of Mazinger Z (Fuji TV). It became an effective weapon in Miyatake’s later work. 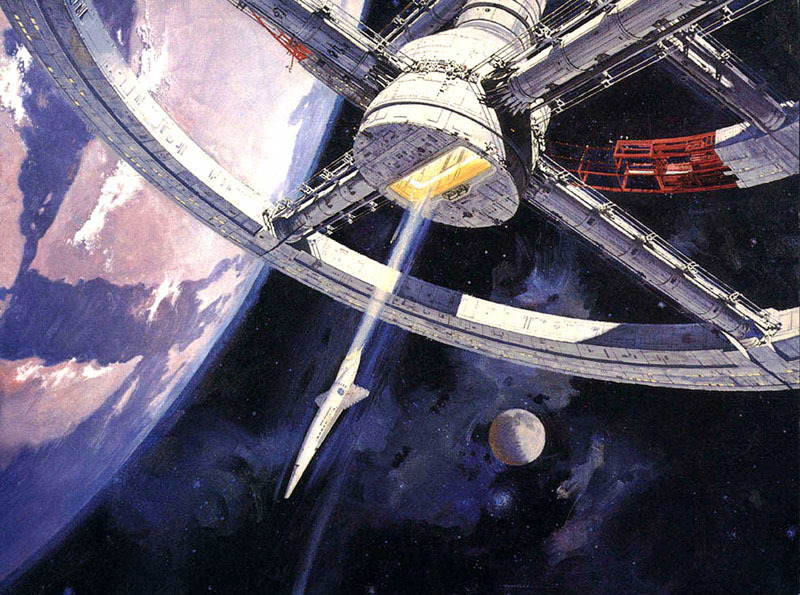 Since then, Miyatake has fascinated us with countless works, and he invoked a topical work as he told an interesting story about the transcendence that can be found in depictions of SF. The reason such a work becomes a hit, getting not just the younger generation but also the middle-age and older generations alike to shed tears, becomes clearer by placing the filter of SF onto it. It can be said that one of its pioneers is Yamato. At the work site, they pushed all their power to the limit under harsh conditions, paving the way for the SF that goes on today. Andromeda, the newest battleship in Farewell to Yamato, is known as Kazutaka Miyatake’s masterpiece. 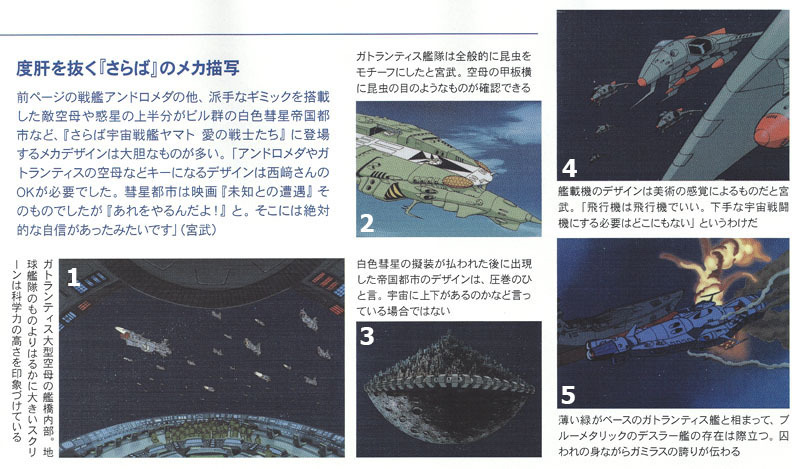 The concept was to use straight lines to differentiate it from Yamato, which is made up of “antiquated” curves. The double Wave-Motion Guns imply a doubling of strength. But he said that when he couldn’t decide on the design of the bridge, he asked “that person” for help. The Wave-Motion Gun, which can be called the face of Yamato, was born from an unexpected discussion. This became a dilemma for Miyatake and Kenichi Matsuzaki of Studio Nue, so they drew a large muzzle where the crest was to go. Since there was a plan to give Yamato some kind of ultimate weapon, this one idea solved three problems at once. There were many bold things in the mecha design that appeared in Farewell to Yamato. In addition to the Battleship Andromeda, the enemy carriers and upper half of the White Comet Empire city had flashy gimmicks. 2. 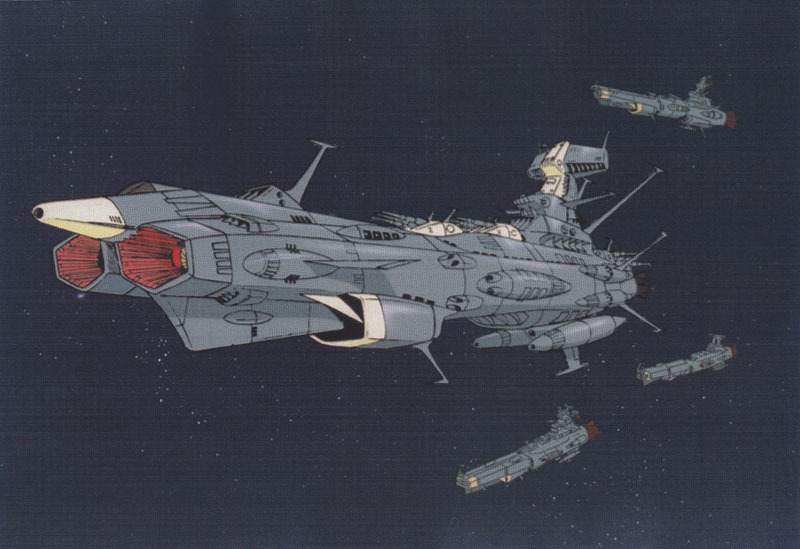 Miyatake generally used an insect motif for the Gatlantis fleet. You can see something like an insect’s eyes on the sides of the aircraft carrier. 3. The design of the imperial city that appeared after the camouflage of the Comet Empire gets removed is one of the masterpieces. It is not a case of claiming whether there is an up or down in space. 5. Contrasted against the pale green base of the Gatlantis ships, the metallic blue of Dessler’s ship stands out. The pride of Gamilas is conveyed even though it’s in enemy hands. In the original SF context, it may seem strange that a small aircraft that goes into space would have an airplane shape, but this shape is the normal evolution in the Yamato worldview, which aims for dramatic SF. The fightercraft in Yamato 2199 follows that tradition, taking on that worldview and rebuilding it with modern sensibilities. 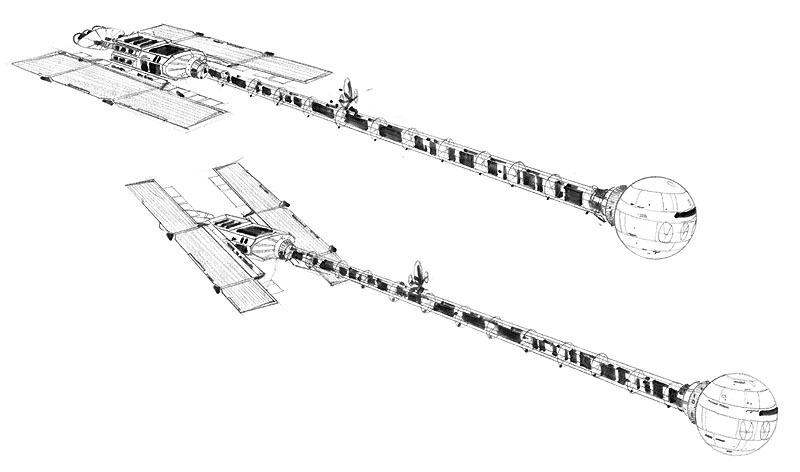 The design of the fuselage was further refined and small gimmicks were built into the launch sequence from the ship. Cockpit instruments have digital notations with voice guidance. The Cosmo Zero piloted by Susumu Kodai launches from the rear of Yamato on a catapult. It has a large diameter machine gun and four standard guns. There is a second unit piloted by Akira Yamamoto. The Cosmo Falcon is a general-purpose aircraft of the UN Space navy, the equivalent of the original Black Tiger. The shape of the wing gives the strong impression of a present-day fighter. Several books have collected Miyatake’s art over the years, and this 113 page tome serves as an overview from 1972 to 2016. Only a few pieces (designs, sketches, and color paintings) are shown to represent his most prominent works since a full catalog would require several volumes, but this is a great place to get a broad view of his career. 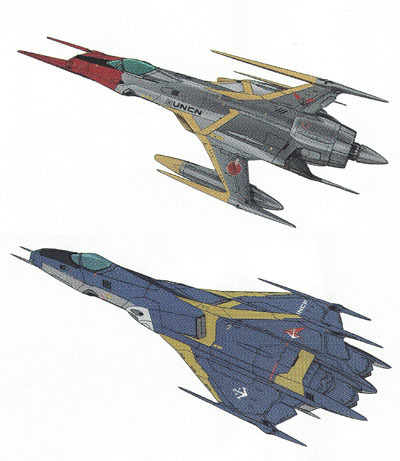 Yamato is represented by a single color painting done for Yamato Fact File in 2010. This entry was posted in Articles (1984-Now/Legacy Years), Others by TimEldred. Bookmark the permalink.